One of NorCal Premier Soccer’s core philosophies is that better coaches make better players. As one of the cutting-edge organizations in today’s American soccer landscape, NorCal offers ample opportunities for those willing to learn from some of the brightest minds in the world at events that are often attended in droves. But look around the rooms and one is unlikely to see many women, something that Peninsula Soccer Club Girls Director of Coaching Val Henderson has noticed for quite some time, especially during a 2018 coaching education session from TOVO Founder Todd Beane. So after the two-day TOVO course in San Jose last August, Henderson approached Beane and asked what could be done to help send women to Beane’s five-day course in Spain later in the year. The two conversed and TOVO agreed to cover some of the cost for the course — an expense that was matched by NorCal’s Women’s Committee — allowing for a December trip just outside of Barcelona where the NorCal women learned from Beane, Johan Cryuff’s son-in-law. In addition to Henderson, Rozie DeWeese (Union FC), Sofi Garman (Burlingame SC), Christina Gilmore (Mustang FC), Lindsay Kaufman (Girls United), and Alena Thom (Dublin United) made up the contingent of six women in a roughly 25-person course. Like most other coaching education opportunities, those represented the only female voices in attendance as Beane taught his ever-valuable lessons. The course allowed for what will be hopefully just the next in line of women participating in these events and garnering the much-needed education to be able to best help serve the youth in Northern California. This was a narrative that Beane supported. In the end, the NorCal Women’s Committee is trying to learn as much as possible while also getting to the root of the problem of the lack of female coaching in Northern California and the United States. “We are proud to have assisted this group of women in attending such a world class coaching institution at TOVO, and are eager to have them mentor other NorCal female coaches with this new knowledge,” said NorCal Women’s Committee Chairwoman Erin Sharpe. 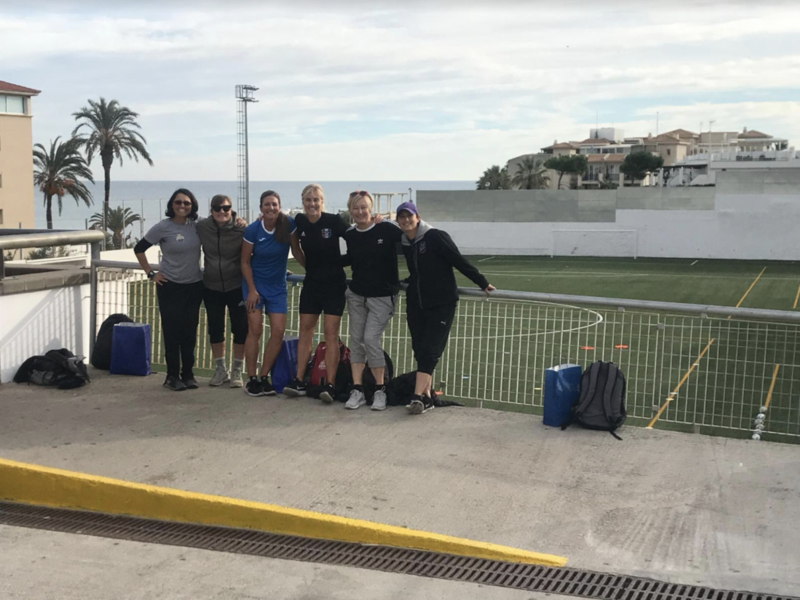 “We are also proud to have assisted over a dozen women in the last year with significant scholarship assistance in a multitude of licensing courses ranging from grassroots levels through to the USSF B, and UEFA B. So while the TOVO coaching course provided excellent value, it was just the start for Henderson and the throng of female coaches in Northern California who hope to engage more young women and bring them to the sidelines in the near future.